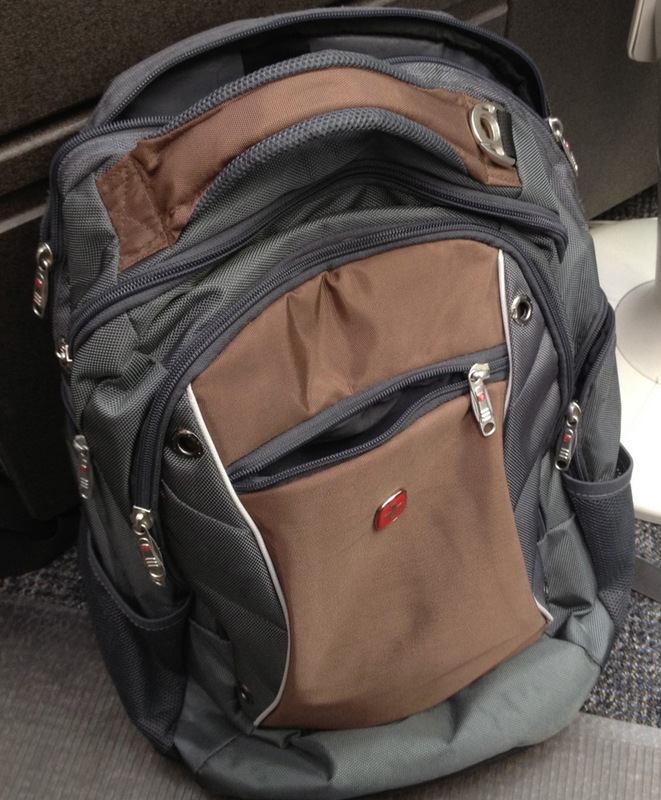 Michael Lopp, writing at Rands in Repose, wrote about his bag he currently uses. Well, it’s a backpack. That got me thinking about my own bag, which is also (now) a backpack. So, I’m writing about it here. I’ve used a number of bags with the many different portable computers that I have owned or used. I started with a Brenthaven messenger bag with my 2005 Apple PowerBook G4 and have probably had maybe a dozen other bags since then along with six other portable computers. I’ve never really been happy with any bag I’ve owned because they always involve tradeoffs. However, that is just the way it is. I’ve owned generic-looking bags from Targus and two bags from STM Bags. While the STM Bags were very good, and my wife still uses one for her MacBook, they were both too small for me to use as my every-situation-I-can-think-of bag, but were great for just going to work and back home again. The other issue I came upon was that they are all shoulder bags of some sort. While nothing I carry is terribly heavy, walking to work was becoming an issue because I tended to put the bag on the same shoulder every time. While not causing any pain yet, I could definitely see it happening in the future. Too small, single-shoulder-only … definitely needed to find something else. I hadn’t looked at backpacks ever because I was thinking that I had graduated from high school/college and was done with that sort of thing! Wow, what an infantile position to take. I should have done this a long time ago. So this is the bag I ended up settling on. That is it’s default look when on the floor of our office at Martin Luther College. It is just a SwissGear (Wenger) backpack from Target. It was the cheapest one I could find that offered any type of padding between the backpack and my back. The last one doesn’t really matter because other bags do as well, but the top two were the important ones. There is also a ton of space left. On my list of things to get are a small surge suppressor (if you can find out that outputs 10 watts for an iPad, let me know), a tiny USB hub, and maybe an extra iPad adapter to replace the iPhone one. Right now I’m stuck charging the iPad at home since I have only one adapter. It is just about the perfect bag. It’s not pretty, but it gets the job done. I need to spend a few minutes and search out my winter hat before I can start walking in the cold. On an unrelated note: my coworker is not crazy. Lined pants are a great investment, and one I might have to make for the future. I would suggest that lined pants and crazy are orthogonal.